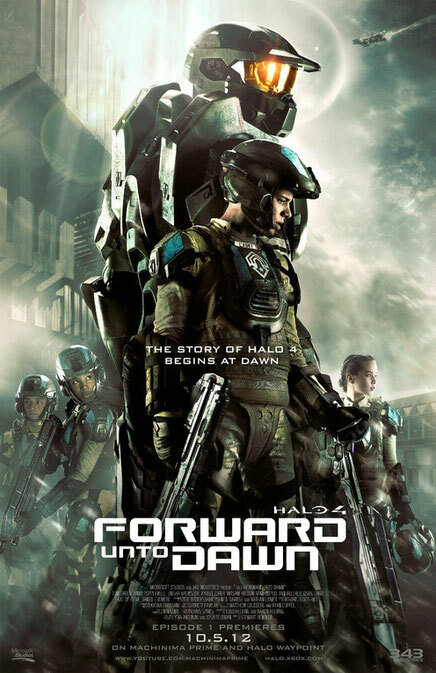 Big news from the San Diego Comic-Con International, the world’s largest pop culture convention, as 343 Industries and Microsoft Corp. unveiled the official trailer for “Halo 4: Forward Unto Dawn,” the live-action digital series based on the best-selling Xbox franchise. The series will be initially distributed worldwide by Machinima, debuting on its new channel, Machinima Prime, as well as on Halo Waypoint on October 5th, 2012. “Halo 4: Forward Unto Dawn” will unfold through a series of five episodes, setting the stage for the worldwide launch of “Halo 4” on Nov. 6. The official “Halo 4: Forward Unto Dawn” trailer is now available on Machinima Prime (http://www.youtube.com/MachinimaPrime) and on Halo Waypoint (http://halo.xbox.com/ForwardUntoDawn). Machinima will also be releasing exclusive content, backstory and character pieces leading up to the launch of the series. “Halo 4: Forward Unto Dawn” tells a story of heroism and sacrifice on a scale never before seen in the “Halo” universe, taking fans back to the beginning of the human and Covenant war and leading into the events of “Halo 4.” Set against the backdrop of a United Nations Space Command (UNSC) military academy, a group of highborn cadets are training to be the next generation of soldiers in the UNSC’s ongoing war with insurrectionists in the outer colonial planets. Among these cadets, Thomas Lasky struggles with his doubts about this war, and with the burden of expectations he may not be able to carry. As Lasky comes to terms with his potential as a military leader, the terrifying alien alliance known as the Covenant arrives and turns his world upside down. Inspired by the Master Chief, he must decide what it means to be a hero. “Halo” fans that experience Lasky’s thrilling origin story in “Halo 4: Forward Unto Dawn” will be rewarded with special insights into the story of “Halo 4” and the “Halo Infinity Multiplayer” experience.